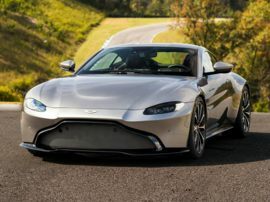 An undisputed member of the peerage of the automotive aristocracy, Aston Martin boasts a history going all the way back to 1913, when its parent company was founded by Robert Bamford and Lionel Martin as Bamford & Martin Ltd. Looking about, you may find some sources assert Aston Martin was actually founded in 1914. 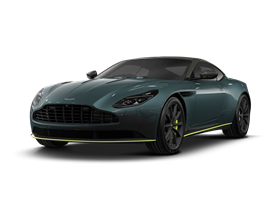 This is because the brand name Aston Martin was formally coined that year, after one of Bamford and Martin’s cars competed successfully in the Aston hill climb in England’s Buckinghamshire with Martin at the wheel. With all of that said, the first of the true Aston Martin new cars was built and registered in 1915. 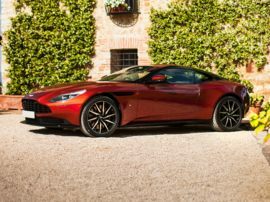 The Aston Martin brand is truly Phoenix-like, in that the company has operated in fits and starts throughout its history. Passing through the hands of a number of different owners over the years, Aston Martin has regularly suffered fiscal implosions—only to rise again from its ashes like that mythic bird. Aston’s first iconic owner, Sir David Brown, got control of the company in 1947. During Brown’s tenure of ownership, the era of the legendary “DB” series of Aston grand touring coupes was born. Running from 1950 to 1972, Brown’s stewardship was also the longest period of continuous ownership in the company’s history. Further, Brown established the iconic Newport Pagnell Aston Martin factory. Producers Harry Saltzman and Albert Broccoli, for the first James Bond movie, chose the 1963 DB5 as the auto of choice for their protagonist. In so doing, Aston’s most enduring popular culture association was gelled and the Aston Martin brand became a worldwide household name. By 1991, the Ford Motor Company had control of the company and applied modern manufacturing techniques to new Aston Martin cars for the first time. Also under Ford’s ownership the new Aston Martin models were modernized considerably. In addition to being produced more efficiently, they were also engineered to be more reliable. Unfortunately, financial issues arose once again (big surprise—right?) and Ford sold a majority stake in the company ito a business consortium led by David Richards in 2007. The new owners closed the Newport Pagnell works that same year. Some 13,000 cars had been built there since 1955. 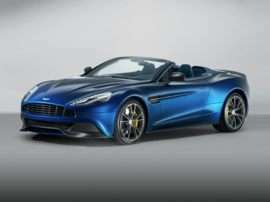 The Austrian company Magna Steyr builds new Aston Martin cars today. As of this writing, Richards, along with investment banker John Singer and two Kuwaiti companies (Investment Dar and Adeem Investment) own the company—along with Ford. However, if past is prologue, it’s only a matter of time before the company is sold again. No need to worry though, like the legendary Phoenix, Aston Martin always rises again.